Established in 2001, ZeOmega built, and continues to deliver, the industry’s leading population health management platform, Jiva, including utilization management, case management, and disease management. Our end-to-end, interoperability-enabled platform is rapidly deployable, highly scalable, and facilitates collaboration among healthcare stakeholders. Jiva helps healthcare organizations achieve Triple Aim goals with data integration, actionable analytics, workflow automation, holistic and personalized assessments to support care planning, patient engagement, clinical quality, and provider performance measurement and management. Headquartered in Plano, TX and with offices in Seattle, WA and Bangalore, India, ZeOmega supports over 30 million lives on the Jiva platform, employs over 500 talented individuals, hosts an extensive partner network, and serves the healthcare industry’s leading health plans and other risk-bearing entities. 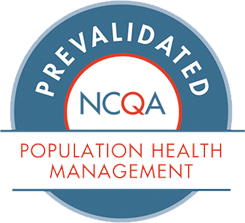 Our mission at ZeOmega is to deliver proven population health management software solutions that enable our clients to enhance the value of healthcare and bend the cost curve. We deliver integrated informatics and business process management solutions so actionable information can be delivered in real-time, at the right time, and to all stakeholders in the care management continuum.